Talkspace has started a revolution in the world of mental health therapy by helping people get access to therapy online through their phone. It was not the case a few years back, and as the traditional treatment costs a lot, many people refrained from going for the treatment even after knowing well that they needed help. Counseling online has proven to be far more popular and useful than earlier expected, and it has changed the lives of many who have used the services of Talkspace. The company is based in New York and has been working on adding new features and tools that would take the mobile therapy world to the next level in the time to come. The mobile therapy app of Talkspace is straightforward to use, and people who have been using it can attest to the fact that it does provide positive results much sooner than they expected. The fact of the matter is that Talkspace allows people to discuss their issues with the experts from their comfort zone without having to step a foot outside of their comfort zone or in other words, they can talk or chat with their therapist online through their phone from anywhere. There are stipulated times during which the people can talk to the therapist and discuss their issues, whether it is depression, anxiety or anything else that’s bothering you. Talkspace has also gained considerable popularity in the last few months after Michael Phelps associated himself with Talkspace and endorsed it. He opened up about how depression and anxiety bought him to the brink of taking his own life and how counseling proved to be a turning point in his life to bring him back to where and what he is today. Talkspace can be that turning point for you as well, and the best part is that it won’t cost you a fortune. Email is currently one of the most used media for official communication purposes. Often as we surf the internet, there are numerous prompts that prompt internet users to subscribe to a mailing service in order to for them to get a particular service. After a while, you will have subscribed to quite a number of mailing lists that you may no longer need. These mailing services end up cluttering your email inbox hence distracting you from reading a useful email. By the time you realize you have subscribed to way too many mailing lists, unsubscribing from each becomes a losing battle. However, Unroll Me was developed to make it easier and efficient. Unroll Me is an email management service that helps users to unsubscribe from unwanted mailing lists instantly. Besides, the service helps you to organize your inbox efficiently. This email management service is free and was founded in 2011 by Jojo Hedaya, Josh Rosenwald, Steve Greenberg, and Perri Blake Gorman. The service is simplistic and uses simple steps to attain its intended purpose. Once you sign up for the service, you are presented with the following options; unsubscribe, keep it in your inbox, and add your subscription to the roll up. The option roll up in the service is so intuitive that it even organizes and prioritizes each email putting them in an individual category and hence a cleaner inbox. The unsubscribe option enables users to unsubscribe from multiple subscriptions with a single click while the roll up option gives you a daily summary of your subscriptions for easier management. Just three years after inception, Unroll me was acquired by slice technologies at an undisclosed amount. The company has continued to offer free email management services to all users globally. However, the company announced that beginning from May 2018, their services will not be available to users in Europe as a result of the GDPR Data Privacy regulation enforcement. This, however, does not mean that the company does not comply with all the GDPR requirements, it is just a few portions of the enforcement, but the company does not specify the portions of the regulation it cannot comply with. Michael Hagele pursued a degree in law from the University of California and later did his B.A at the University of Iowa. He formed and contributed to different businesses in the hospitality and restaurant sectors. Through his specialized expertise, he displayed that companies can regularly offer the best quality and economical legal amenities to the stakeholders. According to him, social media is a crucial component to rapidly develop the business nowadays. It is the main strategy he utilizes as it assists them to associate with the customers. As a businessman, it’s a priority to cater to the customer first since they play an integral part. While serving as an attorney, a client’s properties lie on your capability to do your all in order to safeguard them. Michael Hagele rides a mountain to meditate and comprehend new ideas. He usually loves educating the new members about mountain bike riding. Furthermore, he advocates participating in a mountain bike skills camp is he gets a chance. The most crucial element to always keep in mind is to have access to live trail forecasts. It assists a rider to comprehend what to imagine at the following curve of the road. Bike riding provides an individual an opportunity to exercise at his own speed. Before riding, Michael Hagele suggests that a person should be physically fit. Jason Hope is an entrepreneur, a futurist and an investor who operates in Scottsdale, Arizona. Jason has developed an interest in modern technology and implemented the passion in technology in making predictions on the direction of the future pertaining the financial industry. Jason studied at the University of Arizona State situated in his hometown where he graduated with a bachelors degree in finance. Jason also attended W.P, Carrey school of business where he acquired his MBA. The use of Internet of Things is a significant interest to Jason as he sees it as an instrument of the future community with the increased connection of people through devices. The beginning of Jason career saw him develop a mobile communication firm that he later dropped to pursue philanthropy, biotechnology, and development of investments ideas. Jason regularly guides the young people in developing entrepreneur way of thinking around Scottsdale. Jason Hope has also helped entrepreneurs develop grants programs in the area. The age-related illness is also another area of interest to Jason where he seeks to integrate technology with medicine. Jason relies on modern medicine as a way of saving the situation. Jason has turned all his available resources to getting anti-aging initiatives. Jason has found a nonprofit company SENS Foundation that also seeks to solve the anti-aging issue. SENS Foundation was established in 2009 and has been on the forefront on the implementation of biotechnology in trying to resolve to age through eradicating the age-related diseases. Jason Hope involvement in SENS Foundation started in 2010 with his 500,000 dollars contribution to the organization. The funds have helped the company make a state of the art library that will assist in research. Jason has contributed over one million dollars to the organization to help undertake operations. The same belief in the integration of technology to antiaging medicines has brought together Jason and SENS foundation. The goal is to sustain life over an extended period through the use of modern medicine in treating age-related diseases. Jason does not contribute to the organization by only donating funds; he is an active member who is involved in the organization’s outreach efforts. The business world can be tough. There are so many things that can make or break a business. It takes a keen sense of direction and a good foundational knowledge to accurately navigate those hurdles to create something that is truly great. Not only does National Steel Car CEO Gregory James Aziz have those qualities, but he put them to the test when he set out to revive the once great company. In a lot of ways, National Steel Car was a sleeping giant in 1994. The business was a large railcar manufacturer and engineering company. It had everything it needed to be a good company, but it was missing great leadership. Throughout most of its history it had been largely stable, but when James Aziz came along it was in a sort of decline. He wanted to breathe new life back into the company, but it was going to be a long process. The first thing he wanted to focus on was quality. At one-time, National Steel Car, a subsidiary of National Industries Inc., was deemed a Canadian national treasure. It was started in 1912 and had a good production history until the Depression hit. World War II was a saving grace for the dwindling company, but that was of little comfort compared to the devastation caused by the war itself. National Steel Car remained a very interesting and versatile company for many years after that, only starting to go downhill again in the 1990’s. By 1994, then owner Dofasco wanted to sell the small company. Gregory Aziz wanted to focus on the quality that always seemed to stand out in national Steel. Within two years of its purchase, the company had earned the quality award from TTX SECO. They have held that award consecutively since then. The other thing that Aziz did to set National Steel Car apart is that he sought ISO 900I: 2008. National Steel Car is now the only freight car manufacturer to hold this certification in North America. Read This Article to learn more. The thing about Greg Aziz is that he is focused and determined. He used his business sense to push National Steel Car into the future that it was capable of, the future that it deserved. It is now a leader in its field and a strong example of what one individual can do to change the trajectory of thousands of people’s lives. National Steel Car is not only a marvelous business empire but a landmark to innovation. Gregory Aziz is certainly one of the most respected men to enter the freight car industry. Since 1994 he has worked to make National Steel Car, a subsidiary of National Industries Inc, one of the most successful companies in Canada while it serves as the backbone for many industries. His work is certainly appreciated by the people of Canada, but it’s important to understand it within context. The National Steel Car company is one of the most powerful and long-lasting companies in Canadian history. It’s no surprise it’s managed to last this long given its importance to the economy, but it is a surprise how well it is lead. 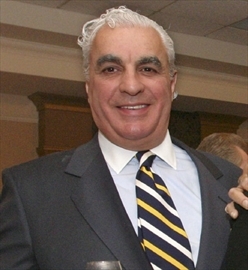 Before Gregory J Aziz joined National Steel Car, he made a name for himself through his work at Affiliated Foods. He was so successful with the work he did there it became obvious he needed to branch out and do something much more productive. That’s where his idea to join National Steel Car came from. The freight car engineering company had a need for somebody who would understand how to handle the sort of things that are common issues for the industry. Fortunately, Gregory Aziz appears to be perfectly able to handle these things by himself without help. The scope of National Steel Car’s operation is incredible no matter how you think about it. The company is doing business across the world and it’s bringing in income from all sorts of sources. Greg Aziz has managed to succeed in his work for National Steel Car because he understands how the company came to be and how to get it in the right direction for the future. It’s worked for him so far and he wants to see it continue to work. His dedication places him above other works who never even think about what they should be doing in their line of work. Click Here to learn more. National Steel Car is currently leading the world in innovation, but there is so much more it can do. In order to unlock this potential Aziz is going to need to work diligently with others in order to unlock the true potential of National Steel Car. He is currently in a better position to do this than anyone else and he is fortunately trusted to do so. National Steel Car has prospered under him and seen incredible growth. If he continues to do more of the same work, we’ll be looking at a time-honored legacy soon. People mistakenly believe that space is the final frontier but the final frontier is on earth: the internet. The internet the great equalizer as it can be used for everything that you need in life from ordering food to traveling across the planet. Jason Hope, a renowned futurist from Arizona, has been touting a concept called the Internet of Things for awhile now. The Internet of Things is a larger term encompasses how the internet is going to network everything in our lives, every single item in our home and in our car, and how that will make our life easier. Let’s learn more about Jason Hope and why he has such faith in this concept. So before we can really evaluate the Internet of Things we need to become familiar with Jason Hope as a futurist. Jason Hope graduated from Arizona State University before establishing himself in Arizona as an entrepreneur. Since becoming established Hope has continually looked to expand his abilities and the people that he works with. Through Jawa Jason Hope was able to start a grant program that connected him to promising young entrepreneurs who had an idea but just needed a little bit of help to make it a reality. This has put Hope on the pulse of innovation within the tech field. Now that you understand the perspective that Hope is coming from we can start to look closer at the Internet of Things burgeoning concept. Now, the internet has been a huge part of our lives for decades now and every year it only becomes more and more important. Jason Hope, as is the nature of being an entrepreneur, has looked at the internet as more than just a convenient tool to use for entertainment and work. He looks at the internet as the future of human living in a day to day fashion. Jason Hope thinks that, within a few years, the Internet of Things is going to become so important and so natural to our living that it will be the biggest industry on the planet. Jason Hope is not solely focused on the Internet of Things, however. He also has his eyes drifting toward biotech and medication related to anti-aging. Hope recently donated half of a million dollars to the SENS Foundation as the non-profit research group continues to explore medicine with biotechnology in order to change the world.